Yesterday I ran 13.1 miles to finally earn my Donald Duck medal. 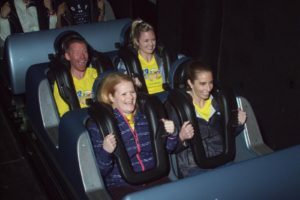 I couldn’t write about my “magical” trip to Disney World until I could say I finished the race. 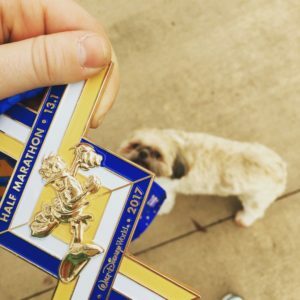 A group of friends and I made the decision LAST February to run the half marathon. Then, Friday night, Disney made the difficult decision to cancel the half marathon because of possible lightning. We drove down from Charlotte on Thursday doing a midway stop in Savannah. Disney was just 4 short hours away from there. 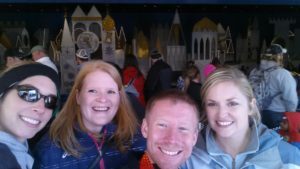 I went to Disney World as a kid and once in college, but going back as an adult was quite different. Thursday: drive to Orlando with a stop in Savannah. 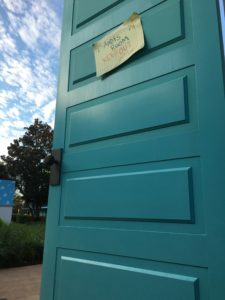 Dinner at Disney Springs (you don’t need a ticket) and checking into the hotel – All Star Music. Saturday: should have been race day (2:30 am wake up), but we slept in instead! After walking around Music and Movies for coffee, we left for Hollywood Studios. It would have been a great day, but we had to go to World of Sports to trade in our half marathon bibs. It took FOREVER! Afterwards, we had dinner with friends at Trail’s End, which was an area of Disney I never knew existed. It’s a buffet and on a lake – you have to take a boat to the Magic Kingdom. That’s where we ended the day and saw the most magical fireworks show over the castle. Sunday: Marathon Day! My friend ran the marathon instead, so we went out to cheer him on around mile 16. After seeing him, the rest of us went to Animal Kingdom. That was my first time there, and it was awesome! Because our schedule got off on Saturday, we had a lot to fit in. We did the highlights of Animal Kingdom but then rushed to the Magic Kingdom. We tried to fit in as much as we could, but we could have spent hours more. 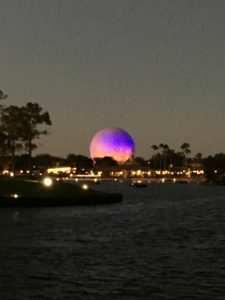 Around sunset, we took the monorail to Epcot. 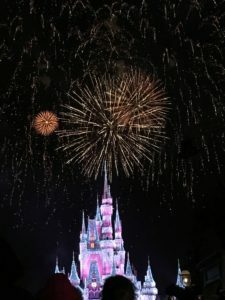 We watched the fireworks show there after doing rides, walking around the world, and eating dinner. 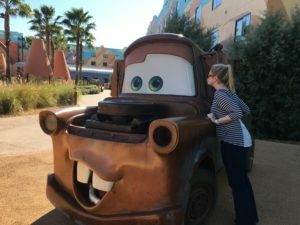 My overall takeaways are everyone should go to Disney, no matter your age. It’s very expensive, but there a ways to watch what you spend. Run Disney puts on a great event, but I hope/think this is the LAST time they don’t have a rain plan. They canceled the race for close to 30,000. I am going to go again next year because this is a race I really, really want to do!